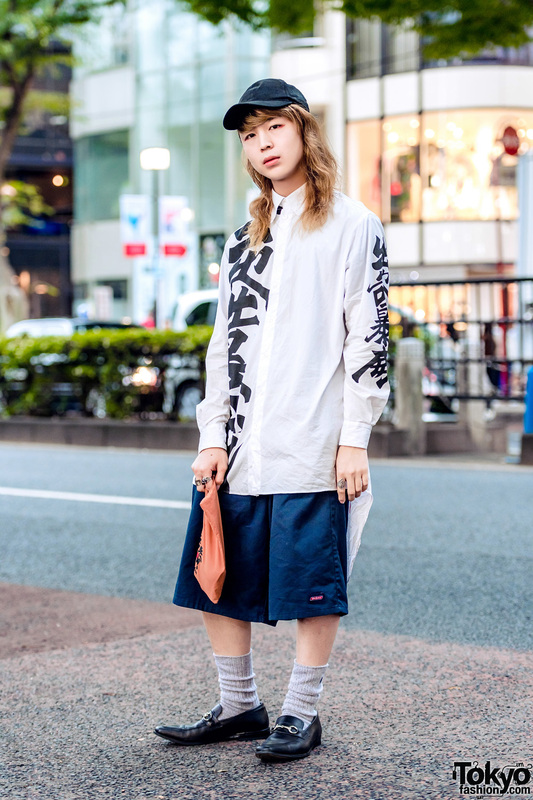 Japanese fashion college student in a monochrome streetwear look with kanji print top, tailored shorts, leather loafers, cap and wristlet. 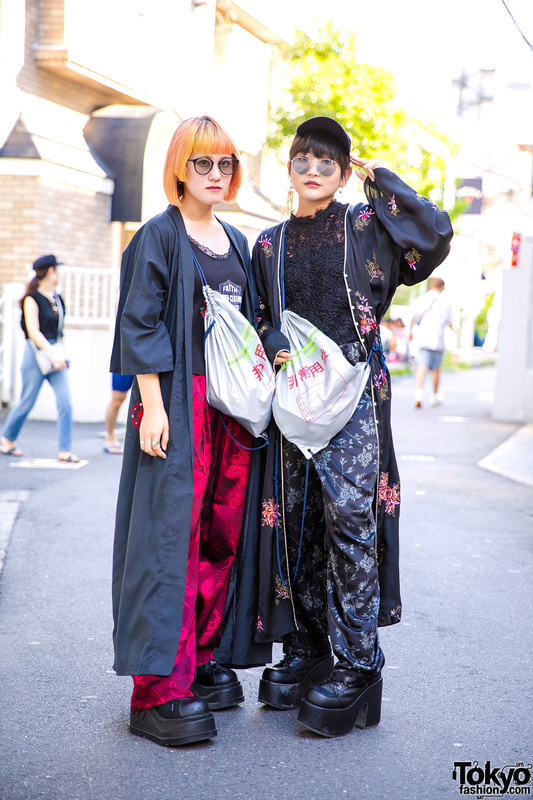 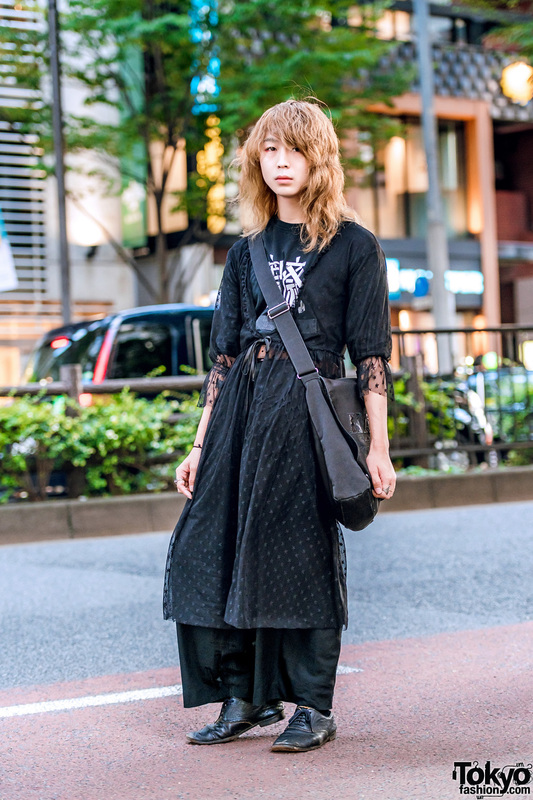 Japanese fashion college student dressed in an all black minimalist street style while on the Harajuku street. 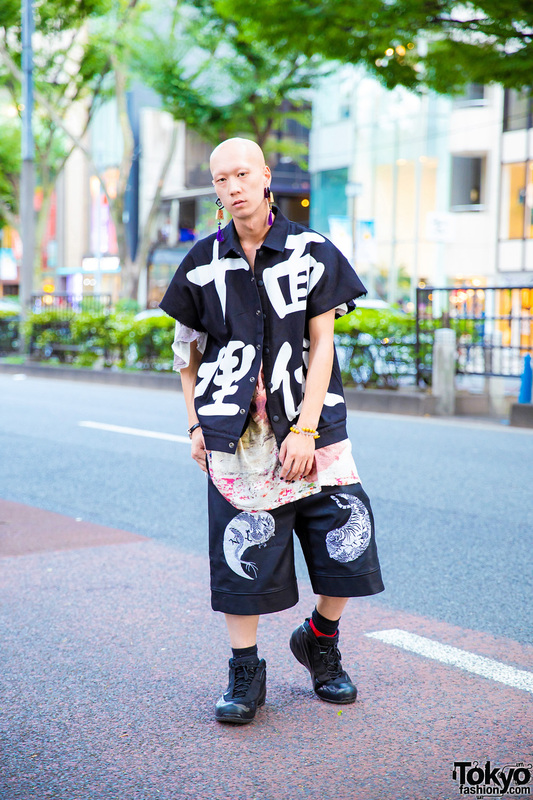 Japanese model & musician sporting a multi-print and monochrome street style in Harajuku. 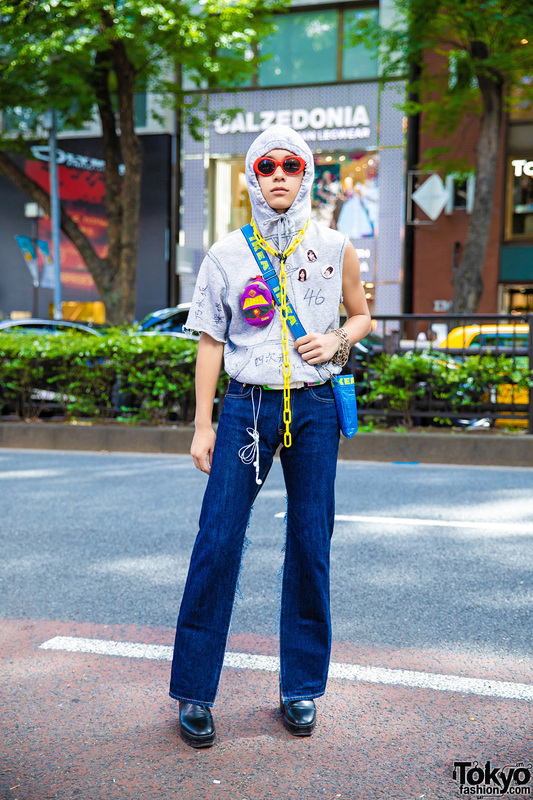 Harajuku student in pink-and-white sporty outfit with kanji print shirt, pink shorts, platform sneakers & mesh newsboy cap. 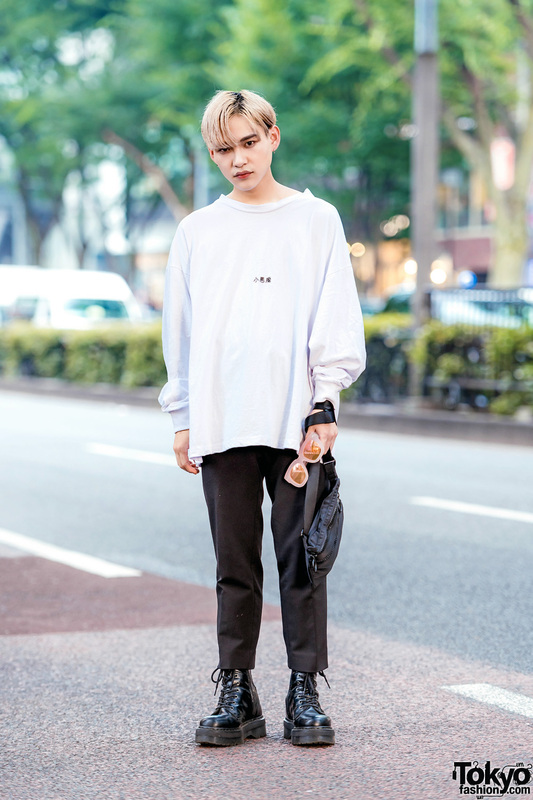 Japanese chef dressed in a monochrome fashion style w/ white sweatshirt, black pants, boots and sling bag.